FREE Math Worksheets Generator Sites! 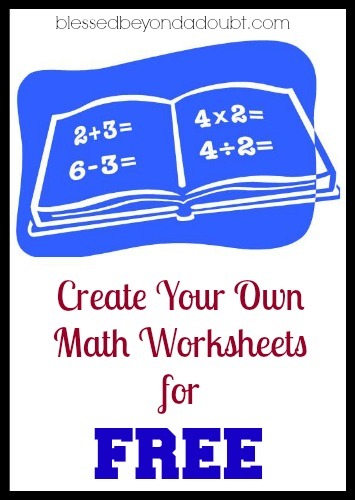 Did you know you can create your own math worksheets for your child for FREE? I love using a math worsheets generator to create review or supplemental math materials for all my children. Also, I like using them for drills too. Be sure to check out where to find FREE math worksheets for kids! « How to Keep Kids Learning Academically! Here is another site I like for making worksheets for math as well as other subjects. Have a great day! I never knew about Teachers Corner, pure gold there. In my school a lot people are liking this a new one because it is aligned to core standards which makes it make easy for lessons. I personally love http://www.mathfactcafe.com! Thanks for the lists of the others, I agree that Teachers Corner is GREAT!